Are you or a loved one facing a serious illness? With illness, there are often many uncertainties of the next steps. Time, pain management, symptoms, and financial unknowns can become a burden. The emotional toll of hospital stays, multiple doctor visits, confusing prescriptions, and “what if’ conversations can be daunting and fearful. For the chronically ill and actively dying, there is an alternative care approach, palliative care. Palliative care is the highly coordinated, team-based care occurring the weeks and months prior to the time when one might go to hospice. Hospice in contrast focuses on imminent death and centers on comfort, rather than continued treatment of underlying disease. The earlier palliative period involves specialized care designed to improve quality of life for patients and their family. Advances in medical care can allow patients to remain in the comfort and security of their own homes during times of unsure medical diagnosis and treatment. By focusing on providing patients with relief from the symptoms, pain, physical stress, and mental turmoils of a serious illness, effective palliative care greatly enhances end-of-life experience, and here are four reasons why. 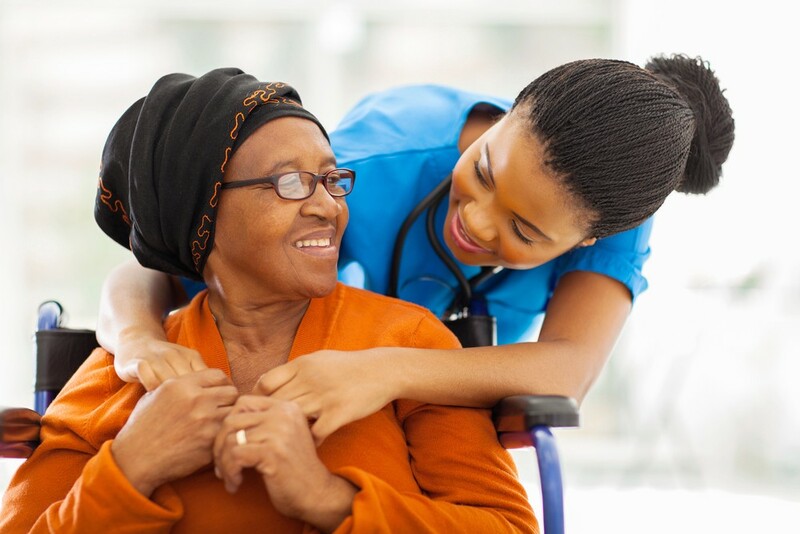 Connection, Comfort and Care Options — Palliative care provides a cohesive team of doctors, nurses, and more who are dedicated to comforting their patients, while providing informative care options. It is a return to in-home bedside care doctors of the past used in their practices. Deeper connections are made with a return to this traditional care, making way for compassionate and clear communication between the healthcare provider, patients and their families. When there is fear about the unknown of the future, having a trustful connection is fundamental to the well being of the patient. With 24/7 in-home palliative care you have someone to count on when you need to make a call for help. Walking side-by-side with you, palliative care specialists can openly discuss treatment options available. The goal is to create a dependable support system that ensures patients receive the care they need, both when and where they want it. Palliative care provides a path to making patients as comfortable as possible. – Education — When an illness or its treatment affects your quality of life, you should be able to make informed decisions about the objectives of the treatments or interventions you will receive. Understanding the complexities of the illness and its treatment is key. End-of-life conversations are not easy. That is where palliative care services can assist with the discussion and provided information and resources needed to prepare for the future. Circumstances surrounding individual health needs can change, having someone to call at anytime to discuss options relieved anxiety and stress. – Financial — Serious illness can have a major impact on finances. This can often be a huge blow to families, creating additional stress. Hospital stays are costly, even if the patient has Medicare and Medicaid coverage. Choosing a palliative care plan can help relieve much of the financial burdens placed on individuals and families during life-threatening illnesses, including cancer and heart failure. What palliative care is really about is the seamless coordination of care for the chronically ill, including adequate follow-up and non-traditional resources. Outcomes achieved can be cost saving due to market innovation and implementation of value-based models and a move away from the more fragmented and chaotic fee-for-service healthcare models. – Personalization to Quality of Life — Every individual has unique circumstances, relationships, and spiritual convictions that influence these decisions. Palliative care assesses the symptoms and desires of each patient and tailors specific plans and goals. This type of care is an invaluable gift to your family, who can then execute your wishes rather than make impossible choices in a crisis. Most people, when asked, say they would want to spend their final days at home, without pain, comfortable with family and friends, and not hooked up to multiple machines in the hospital. We simply must do better and help ensure that a patient receives the health care that they want near the end of their life. One company paving the way nationally, Aspire Health, of Nashville is poised to do exactly that (Frist is a co-founder). As the largest non-hospital, community-based palliative healthcare provider in the country, its goal is to ensure terminally ill patients are comfortable and cared for by relieving the stress and burdens associated with disease and sickness. This is the future of advanced illness healthcare. A palliative health plan customized to the emotional, mental, spiritual and physical care of the patient will improve quality of life while saving time and money. Isn’t it time we started to talking about this with our friends, families and physicians?